Feeling competitive? Give Hoops a try! This two-person inflatable basketball game will let your guests go head-to-head! 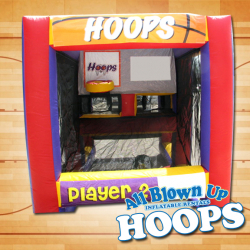 This is a perfect addition to a March Madness party or any sports-themed party.